Pinterest has a great feature that lets users change their cover image. This is a useful feature for brands and businesses as it allows them to feature promotions, products, or services at the top of their Pinterest accounts. If you are Pinning away on Pinterest because it’s fun or you find it useful for home décor, recipes, fashion, and other topics, you’ll find changing your cover Image is useful for you too. Keeping your account up-to-date makes your Pinterest appear welcoming and well maintained. Other Pinterest users will want to follow you when you keep it fresh with new content. Your Pinterest account cover image (below) is the large collage of images at the top of your Pinterest account. It is a collection of the images from Pins associated with your Pinterest. 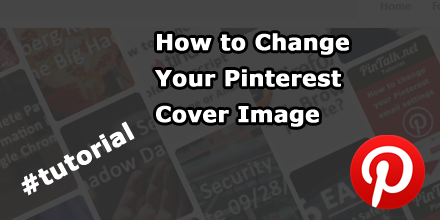 Note that changing your Pinterest account cover image is different than changing a Pinterest board cover image. I cover that in a separate tutorial. Pinterest has over 250 million users . The social media channel is perfect for brands and businesses to represent themselves visually. Pinterest is sometimes overlooked by businesses as it does not have as large of audiences as Facebook or Instagram. It’s also a younger channel. It also helps to get your website found as Pinterest boards show up in Google searches. Try Googling for a “winter outfit” as see what is returned in the SERPs. Thirty-five percent of Pinterest users have an income of over $75,000 . Images and videos are the way to communicate with this demographic. 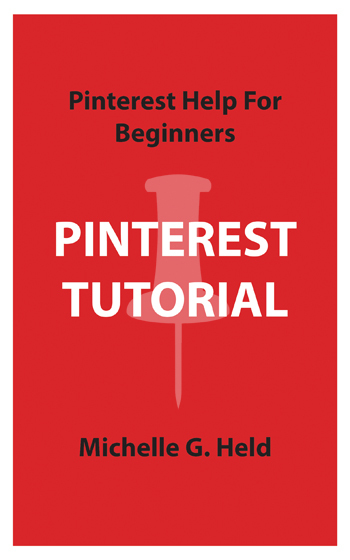 There are a variety of images to arrange on Pinterest accounts to make your account visually appealing. These include the image on the Pins themselves which are required. 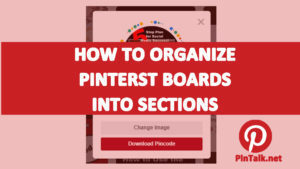 Pins are saved to boards which inherit a cover image from Pins. The board cover images can also be set. Your user profile also has an image. And, of course, your Pinterest account has a large cover image. Most people access Pinterest using the mobile app. 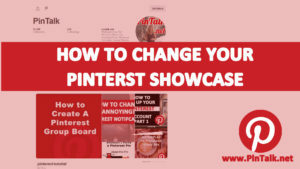 Changing the Pinterest cover image is the same whether you use Pinterest on a laptop or via the Pinterest mobile app. 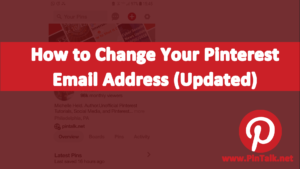 You can change the cover image of your Pinterest to be your latest Pins, the recent activity which includes Pins from other Pinterest Pinners who saved Pins from your website. 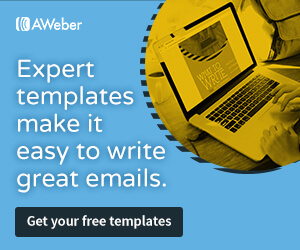 You can also choose a board to use as a source of images for your cover image. This includes group boards that you are part of.